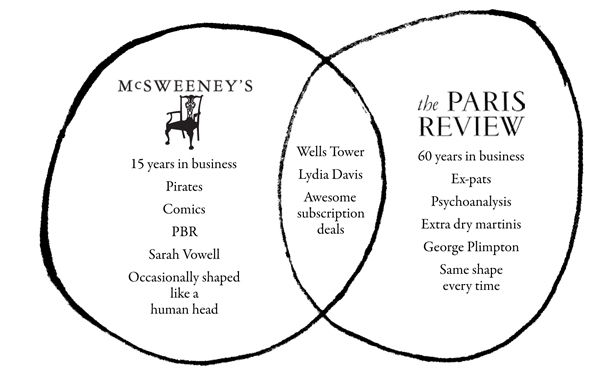 This new year, bury the hatchet, broaden your horizons, and shock your friends with a dual subscription to McSweeney’s and The Paris Review. Yes, our two magazines have always appealed to different readers. Our sensibilities, like our headquarters, are a continent apart. 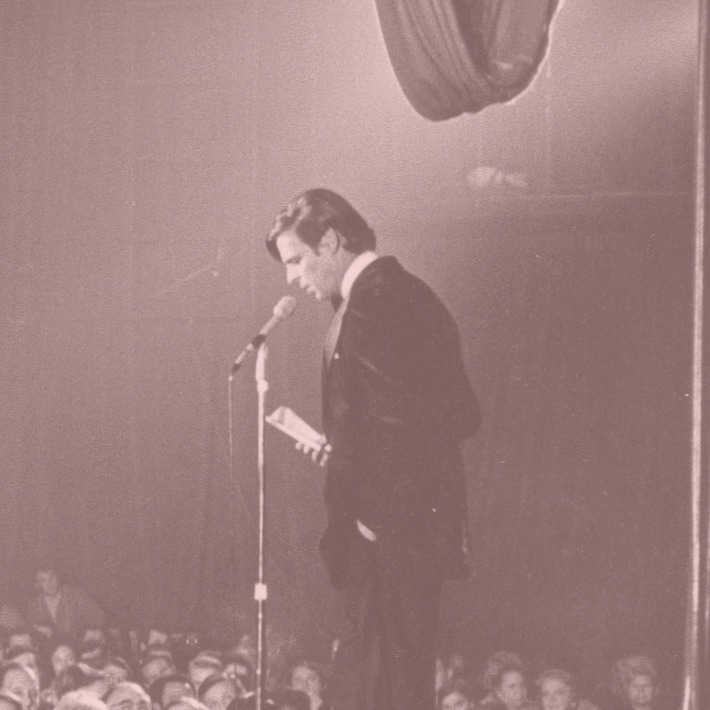 But for 2014 we say, Vive la différence. 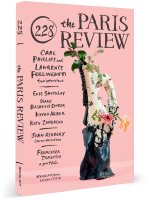 This January only, you can get a year of The Paris Review and McSweeney’s for just $75* — that’s 20% less than you’d pay for individual subscriptions. You’ll have the most cosmopolitan bookshelf, nightstand, and bathroom on the block, and a full supply of the interviews, fiction, essays, poetry, and humor that keep us reading each other and make us want to spread the love! The deal is now closed.